15112 W Charles Rd Nine Mile Falls, WA. | MLS# 201626732 | Cooper Realty Services (509) 599-1111 | Spokane WA Real Estate | Contact us to request more information about our Homes for Sale in the Spokane WA area. Do not disturb occupants please. No yard sign. Coming soon-ready for sale aprox. mid to end of December. Spacious home on nearly 4 acres! Country living at its best! Terrific location with easy access approx. 10 minutes to Francis. Lots of room with nearly 3000 tot. apx. sq. ft. 5 bedrooms, 3 baths, daylight basement, attached garage, two decks (one off the master bedroom) and so much more! Solid home, some updating needed. 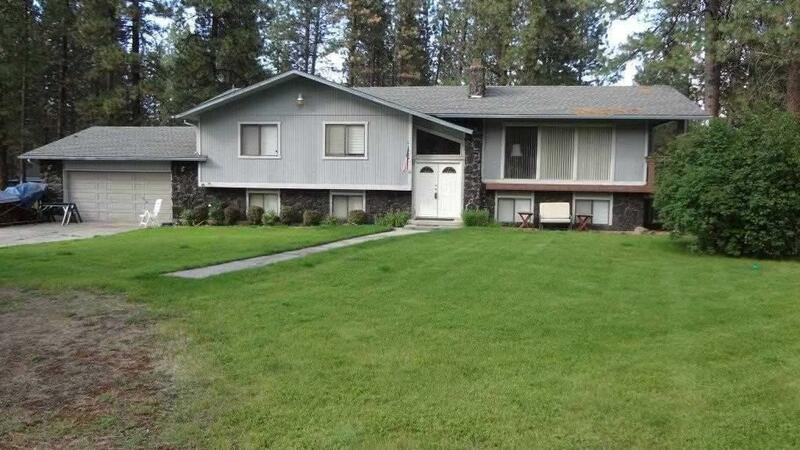 Located close to parks, lake, boat launch. Nine Mile Falls school district, too.